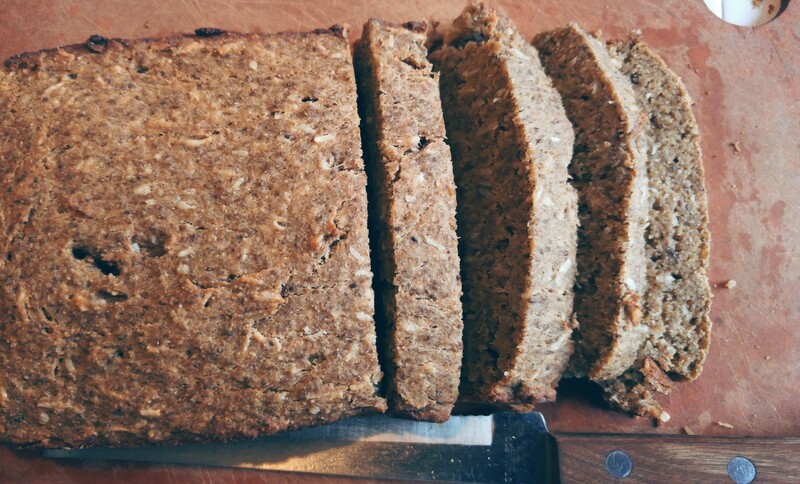 Banana, Apple & Coconut bread – Its totally VEGAN! It was a miracle that I even managed to get this right the first time round. My resources were limited you see. My cupboard seemed bare, I refused to dip into my extra funds to buy more food, as I have placed myself on a budget and a strict diet of use what you have and stop being wasteful. The kids had had a fun day of mini golf, had enjoyed the fresh air, and were now sitting comfortably on the couch, awaiting something to eat. A snack to hold them till dinner would arrive. So, I went hunting. One banana on the counter, and a desperate dig in my backpack for the banana we had dragged to a picnic and back the day before, we were on our way. 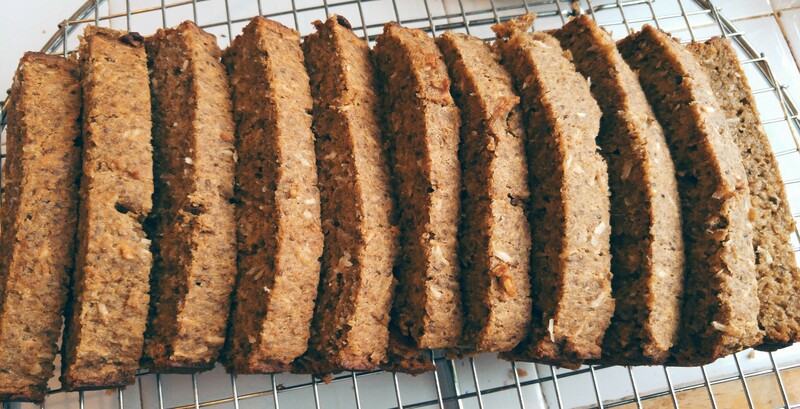 Showered with luck and creativity, coconut oil sat in the cupboard, a cup of chia seed in a ziplock, 1/2 an apple in the fridge, 1 cup of coconut sugar to last the week, 1/4 cup of desiccated coconut , and a small ziplock of barley flour, the magic happened. I was certain this would go down in history as the most interesting baked good any desperate person could make, but alas, I was wrong. Instead, the house filed with the smell of bananas and coconut, warmed by the gentle kiss of the sun. It was soft and moist. The chewiness of the coconut was subtle and blissful. We were left with only one word. MORE! Place chia seeds, banana, sugar, and apple in a blender and puree. 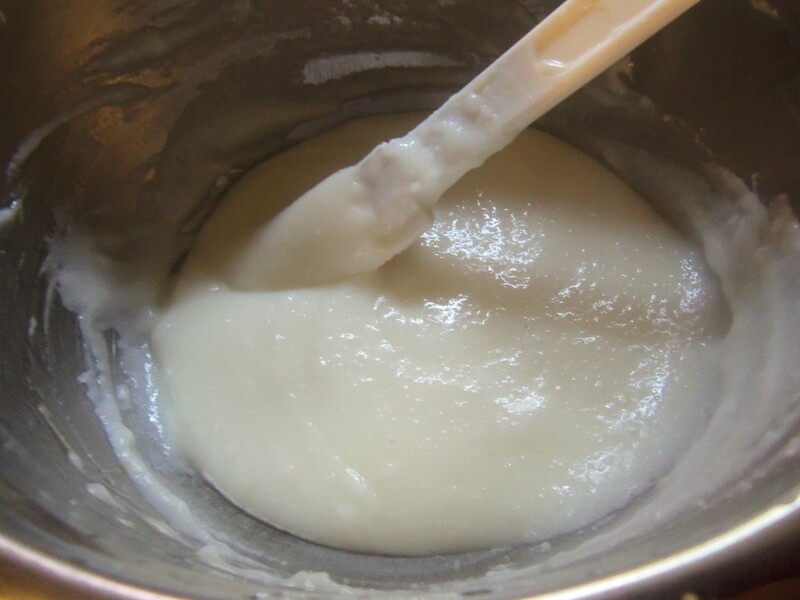 place coconut oil and baking soda in bowl and mix well. finally add water. Mix well. Oil loaf pan with oil, place mixture in pan and place in oven until brown. This should take about 20 minutes. Remove from oven and place loaf on cooling rack. Once cool slice, and enjoy! 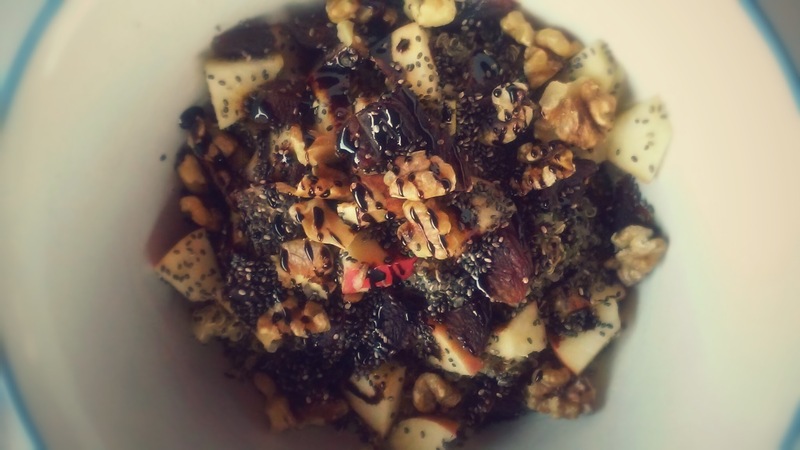 Morning Start – Quinoa Breakfast of Vegan, allergy sufferers champions! 1/2 cup of quinoa – this is your super food. Great for getting in your iron, protein, calcium and carb it pretty much covers all the nutrients you need. 5 dried sulfur free apricots – in the winter months, I love apricots. You don’t need alot of it to get what you need. When dried, these fruits are high in vitamin A which is great for your immune system! So throw more than 5 on if you are keen on them. 1 tablespoon chai seeds – the other super food. Rich in calcium, omega 3, mucilage, fiber, manganese, phosphorus, it is up there in the comparison chart with flaxseed and sesame seed. 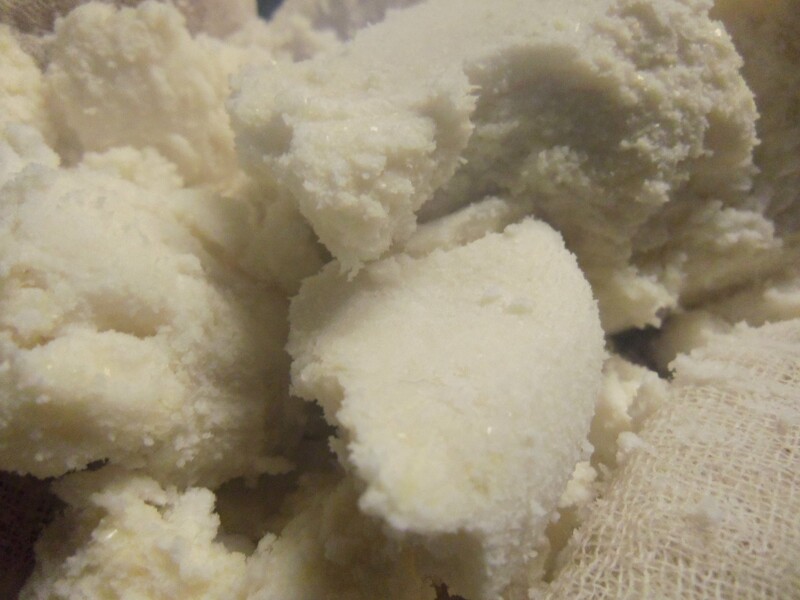 It also decreases blood pressure and fibrinogen and C-reactive. For this reason, If you are on any anti hypertensive medication be sure to speak to your healthcare practitioner as chai seeds increase the effects of those medications. Cover your quinoa with water and let it soak over night. In the morning rub grains between your finger whiles still in the water. You might have noticed the foam that is on top. That is your saponins. Rub the grains to get the rest of. throw water away and rinse again. Discard water and cover with 2 cups of fresh water. Place on stove on leave to boil. let it boil till grains expand. This should take less than 10mins as you have already presoaked. Once grain is open, discard remaining water, place in bowl and began to cover this remainder ingredients and enjoy. note: If you forgot to soak your grain, simply cover with 4 cups of water in pot, place on stove, and let it boil till the water turns yellow, form becomes visible on the liquid surface and grains have opened (this usually takes about 10 – 25 mins depending on your stove and heat setting), remove from stove, discard water and rinse under clean water. Continue the remainder steps. Rinse rice till water runs almost clear. Add 3 cups of filtered water to white jasmine rice or 4 cups to short grain brown. Put on stove to boil. Cook until soft but still damp. If you need to add more water for longer cooking add 1/2 – 1 cup . 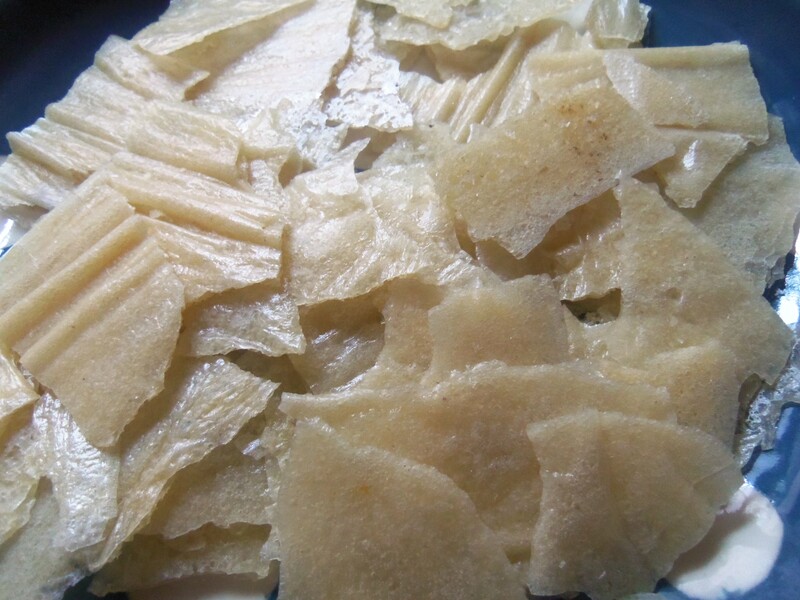 Mix pureed rice and oil in bowl with salt to taste. It should be very gooey. 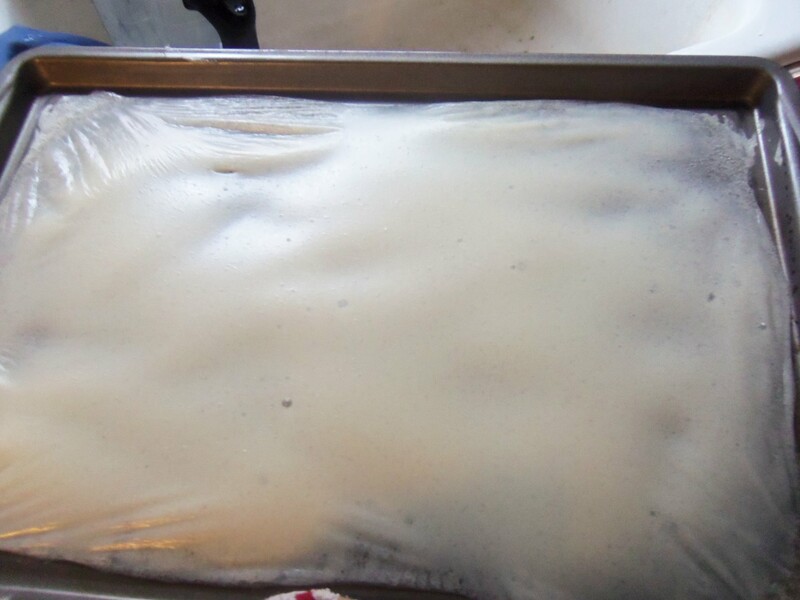 Pour mixture on to a metal baking sheet and spread no higher than 1cm. Place on top shelf in oven for 30mins or until surface of mixture becomes rubbery. Place tray back in oven and bake for 30 – 40mins till the rice starts to harden. Turn off oven and leave try in oven to cool. 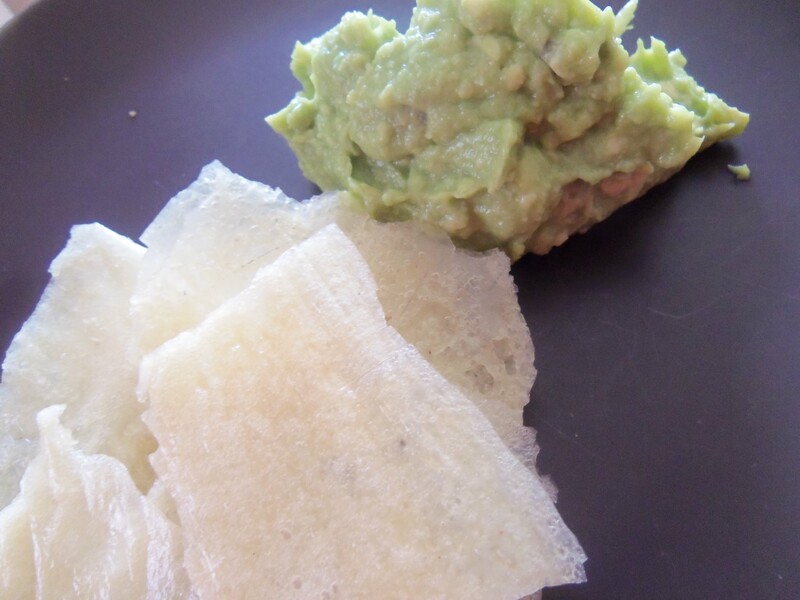 Severe with hummus or guacamole for a lovely snack! 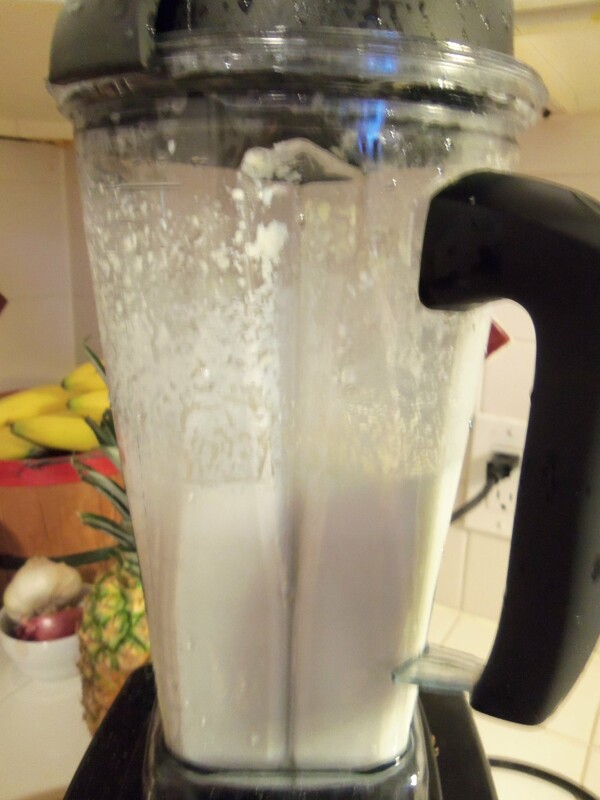 I really enjoyed making this, and even though I can’t have soy at the moment, I really felt a sense of accomplishment once I finished making soy milk all by myself. I have spent the last 12months really trying to make as much as I can at home, to ensure it is whole, not preserved, fresh and clean. For me, this meant learning to make many of the organic foods that I usually pulled off the shelf, such as nut milks, nut butters, breads, breakfast cereals etc. Along the way I have learnt soo much. At first I really found it scary and to be honest felt that some foods were meant to be made in facilities, but as the months have gone on, I have began to step outside my comfort zone. This week, I challenged myself to something that I have long felt was beyond my reach, as I had placed soy in a category all by itself. Once I began to see it as any other legume, I felt more comfortable to explore what can be done with it. With that, I took on soy milk, one of the last remaining foods, I still buy off the shelf. Now I have comfort in knowing that I don’t really need to do that anymore, and now I have infinite boundaries I feel comfortable jumping over! So with that, lets make soy milk. 1. place soybeans in a bowl and cover with 2 cups of filtered water. Leave for 18hrs. After 18hrs throw water away after 18hrs, wash beans till all beans skin are gone. 3. Place soy content in pot and add remainder 9 cups of water. 4. 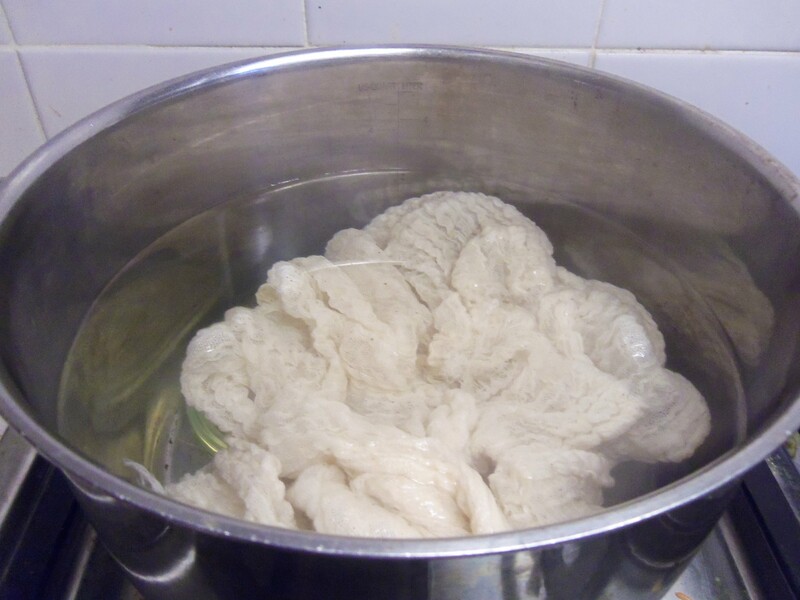 Boil on high for 10mins, stir with spoon occasionally to prevent soy fiber from sticking to bottom of put. 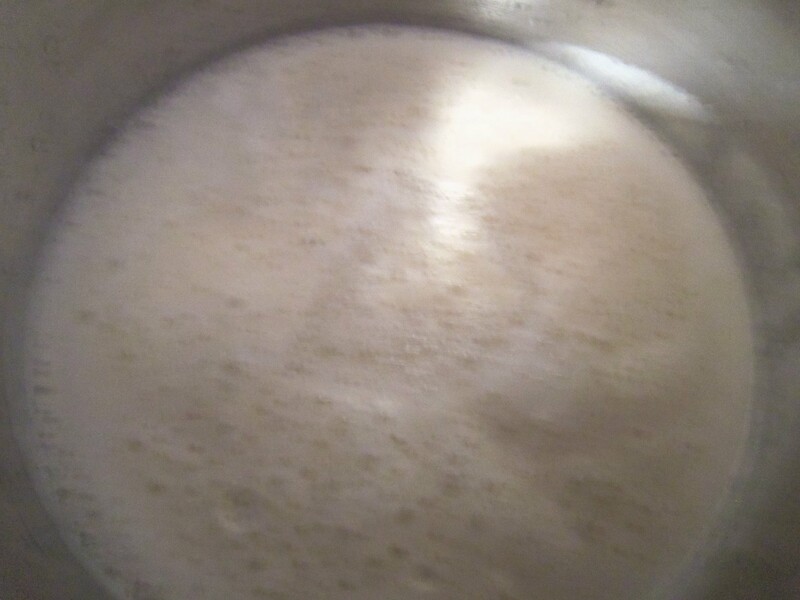 Skim of any foam layer that forms on top of milk, do not stir it back into the milk. 5. 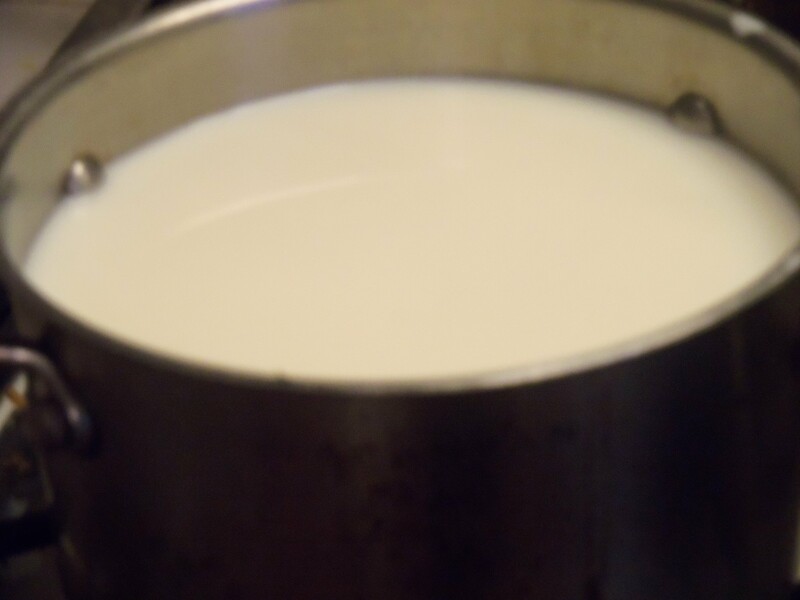 After 10 mins lower stove to medium to low heat and leave to cook for 45 – 1 1/2hrs depending on how creamy you want it. 8. sweeten milk as you please with vanilla extract or blend with dates. You can also leave it unsweetened. 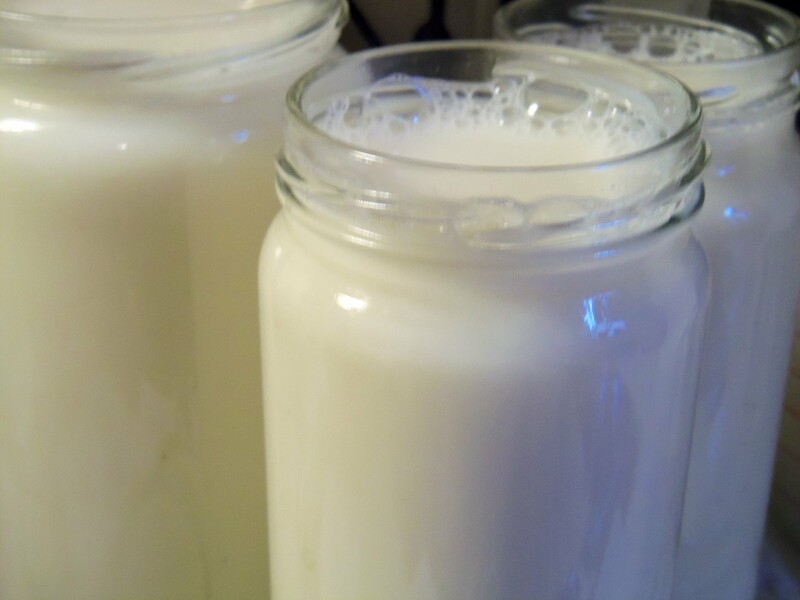 9. pour milk in warm jars (see jar prep below). Seal, label and store! 1. Place jars & lids in pot and cover with water. Boil for 5-10 mins . 2. Carefully remove jars and place on clean dish towel rims up. 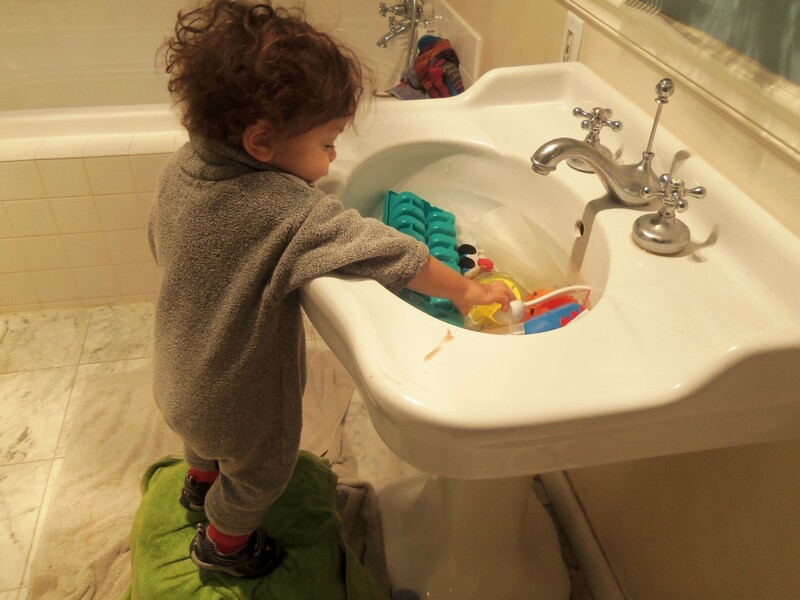 How to give your toddler water play in the winter months. If there is one thing all parents can agree on, it’s that children love water, the love to drink it, pour it, lay in it and just about cover everything in it. Child development research shows that water play has essential benefits in child brain development. 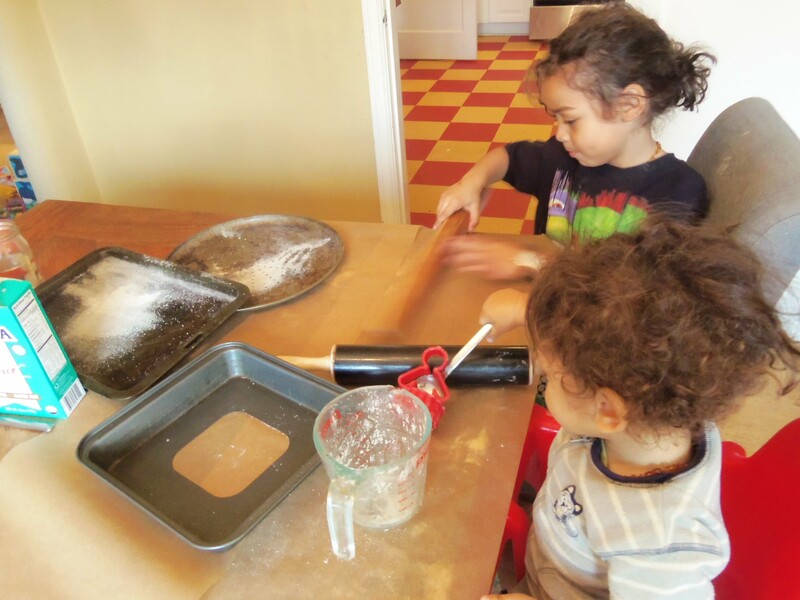 Yes it can be messy, wet, and a pain to clean, but it is also a calming and enjoyable exercise for little people. Water play helps in the development of hand-eye coordination, learning to lift, pour. Whilst, they don’t really care about it right now, it sets the foundation for early mathematics and some science concepts, such as differentiating between heavy and light items, those that will sink and those that will float. Water play also allows toddlers to develop concentration and focus as well as some problem solving skills. In the summer months and living in countries with warmer climates, this can be easily achieved by allowing little ones outside with a bucket, visiting paddle pools, water fountains, and so on. Water play during the winter months can be challenging until you step outside the box. Bring it indoors, make it simple, make it safe, make it fun. Here is a simple and easy way too bring water play to your toddler during the winter, when you are sharing each others’ company indoors. 3. A stool about 8-10 inches high. No higher or you might find them in the sink. Step stool will also cause them to climb in the sink, so only use them with constant supervision. 1. Take your toddler with you to collect all items needed. Make sure to let them carry some light things, and have a designated stop where they are to be place. Make sure to say the name of each item being used as well. 2. Work together to set up towels. Ask your toddler to help you place the towel on the floor by showing her which end to hold. Allow room for error. 3. 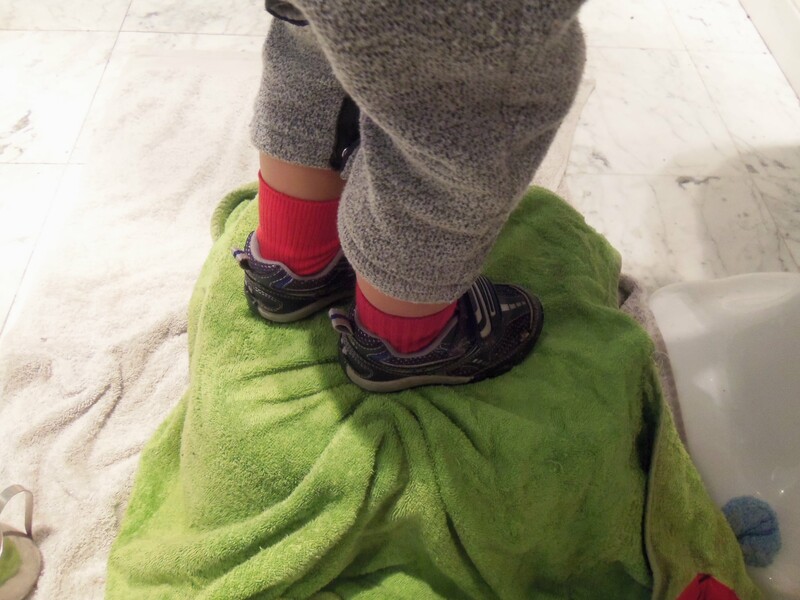 Next have your toddler carry stool from designated spot and place on top of towel in front of sink. Work together to cover stool with second towel. 4. Next fill sink with warm water. 5. 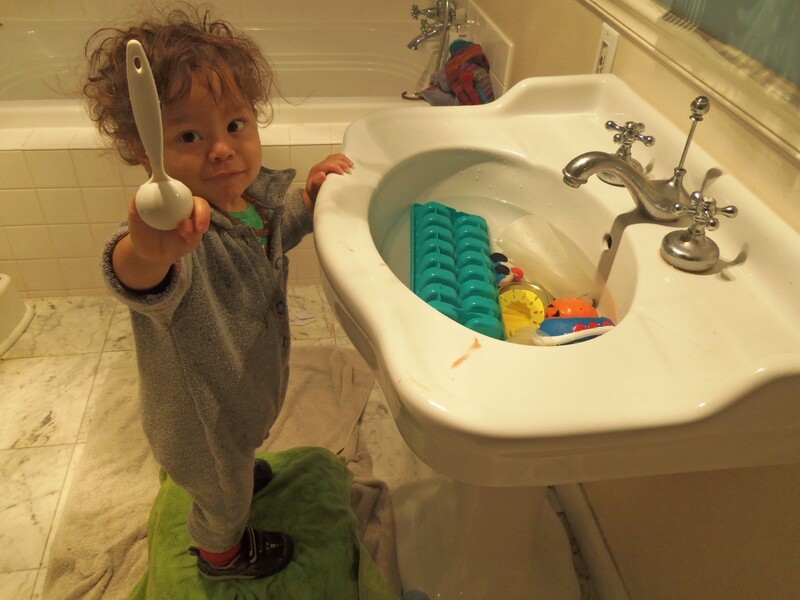 Ask toddler to carry water play items to sink and place next to stool. 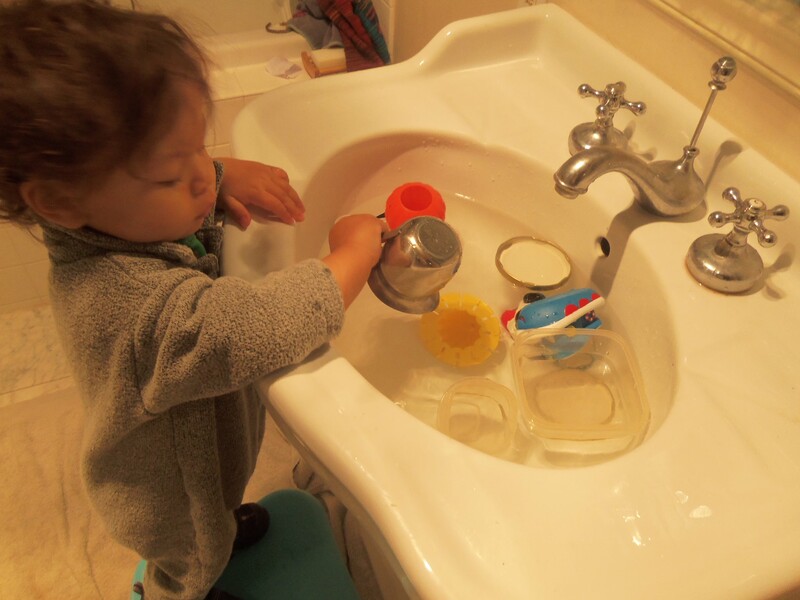 Once task is complete, allow toddler to place items into sink on his own. 6. Give some space and let them work and have fun. Best to leave them till no longer want to play. 7. Pack away using prep step but in reverse! Prep: place 1 towel on the floor where the activity will take place, in front of the sink. Next place stool on top, and cover the stool with second towel. Next clean sink and fill with warm water. Remember there might be some drinking of the water so make sure to keep everything clean. Next place water play items in sink and let your little one loose. 1. Use a large camping basin. I have used this method over the last 9months and notice a big difference in how my hair grew all over. I really think it helped in making my front and sides grow a lot better. This method can be used for any hair type from straight right through to coily. Gave it a go if you can, and see if it makes a difference for you! 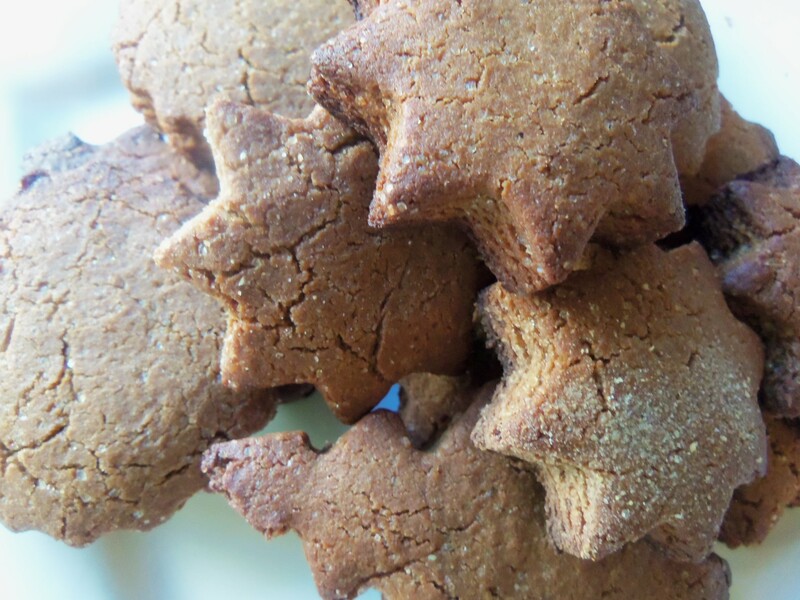 Gluten Free, Lactose Free Ginger Bread Cookies. I thought we could do this together as we go along and see how things turn out. It is 3pm on Monday December 23 2014, and I have just turned on the oven to 380 F.
Mix oils, egg and spices together till smooth. Roll dough into a ball and press down till 1/2 inch thick. Cut shapes with cutter and place on metal try, no baking sheets! Place in freezer fro 5 minutes. 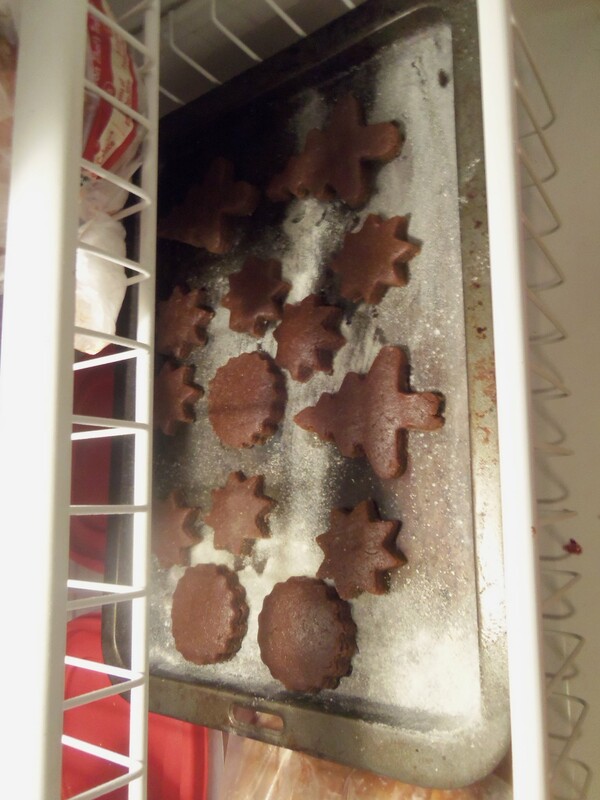 Remove raw cookies from oven and place in oven. Leave for 20 minutes on top shelf, 25 max. Any longer and it might start to burn. Enjoy!